Being a travelling freelancer can be great. You get to experience new cultures, dip into the international freelancing community and serve clients from all over the globe. However, protecting your data is an essential part of doing all that carefree. There is nothing worse than losing all of your hard work, getting your gadgets stolen or your email compromised. First of all, have a backup of everything. I personally use Dropbox, as it seamlessly updates my files as soon as I save them, allowing me to access my work from anywhere. There are many other platforms that offer similar services, such as Google Drive or ADrive. Check out latest article comparing these online storage tools. Consider having a hard copy, too. Portable hard drives are easy and cheap to come by nowadays. If you need a lot of storage and don’t want to carry your laptop around everywhere, this is an excellent option for cybersecurity while travelling. If you have any critically-important documents, make extra copies of them and keep them with you at all times. This is good in case your devices are stolen or if you have a technological issue that renders them useless. Secondly, always update your software before going somewhere. Whether it the OS on your computer or phone, your browser, antivirus program or any apps that you might be using, updates are a must. They often tackle flaws and bugs, as well as known exploits. Last week, Stagefright, an Android flaw that could leave as much as 950 million of devices exposed was made public and Google quickly tackled the problem, for those who updated their software. Using a virtual private network (VPN) is often the best way for having a secure internet connection. It essentially creates a network within the network you’re using and employs various security protocols to make sure your connection cannot be tampered with. Some VPN services are free, others will charge you around 4-10$ a month. Check out this article for an overview of security-focused VPN options. Especially for freelancers, being able to set your location elsewhere is great for opening your network access internationally. Setting your VPN outside of your country or region can allow you to access things that are normally restricted to you. 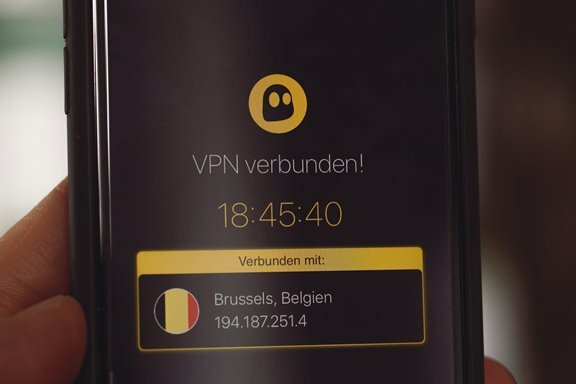 For example, setting your VPN outside of the EU will allow you to access more US-based information that is normally prohibited by GDPR or to access social media networks in countries where are not allowed. Free wireless networks are great for doing something quickly, but most of them are pretty slow. Additionally, they represent a security risk that you might not want to take. If you can, prioritize using encrypted, password-protected networks. Most hotels and many cafés have these specifically for cybersecurity while travelling. If you want to be the only person using your Internet and be sure that you won’t have to rely on your hotel to have a wireless network, many providers offer USB sticks which will give you access to the worldwide web. These vary greatly by country, so make sure you do your research before setting off. Last, but not least, protect your passwords. For most people, the email password is a gateway to all others, so that should be a priority. Many email providers, like Gmail, offer two-factor authentication as an option. To get into your email, you will need to type in the password and an additional one-time unique code by which you receive by SMS, for example. So-called password managers can store all your passwords securely, too – here’s a piece the Wall Street Journal did on some of the better ones. Some will even generate random passwords in certain time intervals: . For the more tech-savvy there are always things like print scanners, but as this technology isn’t available to a lot of devices you might have a problem if you lose your main one or it gets stolen. Certain countries or regions have a reputation for theft, and you need to be aware of potential dangers when travelling. For example, Barcelona is well-known for pickpocketing. So is the Rome metro. Being aware of these things will help you better prepare for securing your property, both physical and digital. Be sure to thoroughly research the area in which you’re staying. It’s something that may be on the back of your mind, but travel-protected luggage can be an easy way to add an extra layer of security to your devices and important documents. Here’s a list of some accessories that prevent theft. Many are quite inexpensive and are built to be durable, so flight or other turbulent methods of transportation won’t affect your precious belongings. In another vein, RFID-blocking wallets could also be useful to prevent the accessing of your credit or debit card information via radio frequencies. This works if your device is stolen or if you just lose it. Having some sort of security passcode, fingerprint ID or other form of required identification can stop anyone from accessing pertinent data on your device. Treat it like any other password, however, and make sure it isn’t anything someone could easily guess, e.g. your birthday, the year, 0000. How do you protect yourself when travelling? Share and exchange experiences with other freelancers via our comment section below this article.